Innovest supports our community and encourages giving back as we realize success. We know that we can make the greatest impact on our community by supporting causes important to our neighbors, employees and clients. 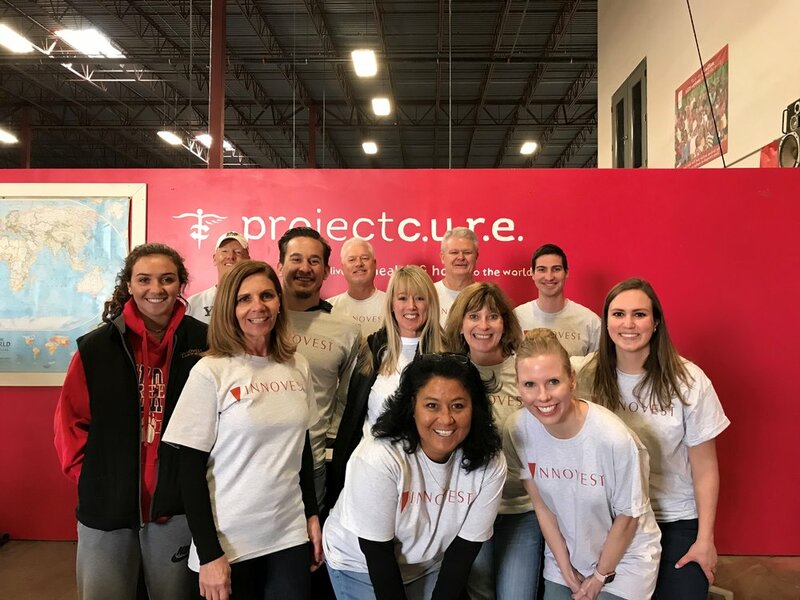 Innovest provides financial and volunteer support to more than 50 nonprofit organizations throughout each year and presents quarterly opportunities for our employees to give back. We are proud to be a charitably focused firm. Innovest employees spent the day packaging boxes of food. 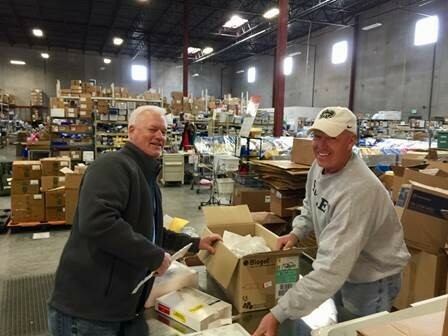 Innovest employees spent the day sorting medical equipment. Innovest employees spent the day planting flowers. Innovest employees and their families spent the day painting the exterior of a deserving resident’s home. Innovest employees served lunch at the Denver Rescue Mission. Innovest employees spent the afternoon helping set up for the walk the following day. Innovest employees prepared boxes of food for GrowHaus. Innovest employees spent the day teaching students at JA Finance Park. Innovest employees spent the day reaching students at JA Finance Park. Innovest employees served breakfast at Urban Peak. Employees took dogs for walks and cleaned kennels. Volunteers painted classrooms that will be used as they expand their school to include middle school. Innovest employees and their families spent the day painting the exterior of an elderly Denver resident's home. Innovest employees delivered more than 200 breakfast bags to those in need. 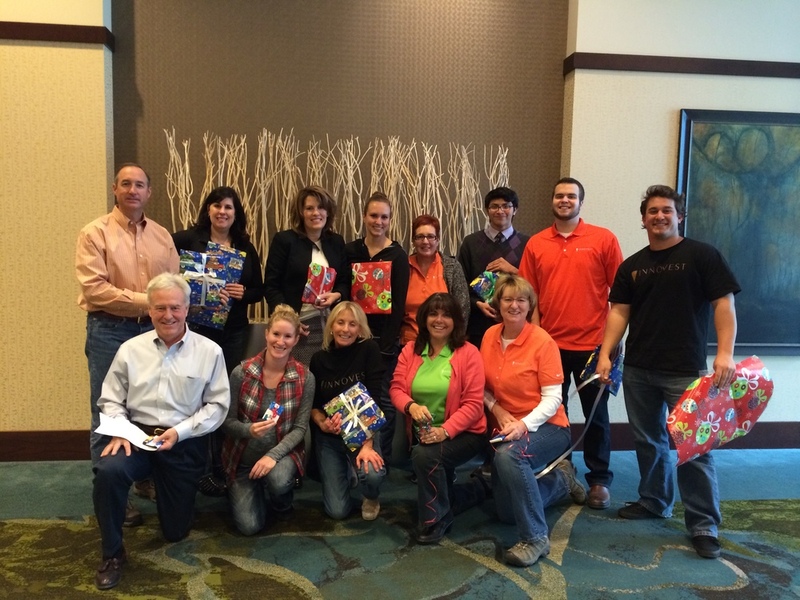 Innovest employees spent the day wrapping present for kids in need. Volunteers spent the day removing invasive weeds from Cherry Creek State Park. Innovest employees spent the day at the SaddleUp! Foundation in Elizabeth, Colo.
Innovest employees and their families spent the day painting the exterior of a home. Since 2014 Innovest has employed four students from Arrupe through the school’s Corporate Work Study Program (CWSP). This unique school provides a college preparatory education and gives each student four years of work experience by partnering with local businesses. During their time at Arrupe, each student is “employed” by a company and in exchange, the company pays a portion of their tuition. Arrupe students are from economically disadvantaged families. They are usually the first from their families to not only graduate from high school, but also attend college. Each of the students is assigned a professional mentor at Innovest. CEO Richard Todd also personally established a college scholarship fund for Arrupe students. The CWSP program is very successful. In 2018, 100% of Arrupe’s graduates were accepted into at least one college or university. The class of 2018 earned more than $13 million in scholarships. To learn more about Arrupe, click here.